The Bhartiya Janata Party (BJP) has decided to make its Prime Minister-elect Narendra Modi as the chief minister of all states led by the party including Gujarat. The decision was taken by the BJP parliamentary board in a bid to “replicate the Gujarat model” in all BJP led states. “Narendra bhai Modi has proved his capability to be omnipresent through 3D rallies in elections. He will attend the state assemblies in all BJP governed states in a similar fashion,” Rajnath Singh, the BJP president said. Singh said that the decision was an endorsement of Modi wave which thrust the party to power. “At the moment this is what people want. 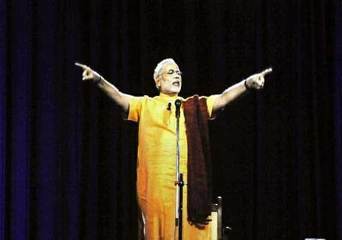 People want Modi everywhere and BJP is facilitating his presence,” he said. The BJP spokesman Ravi Shankar Prasad told Dapaan they were ready to govern the states ruled by its partners in NDA through this 3D technology. I am blank! I visited DAPAAN after my SIR suggested! The only thing i can say for ur work, Itz Awesome!